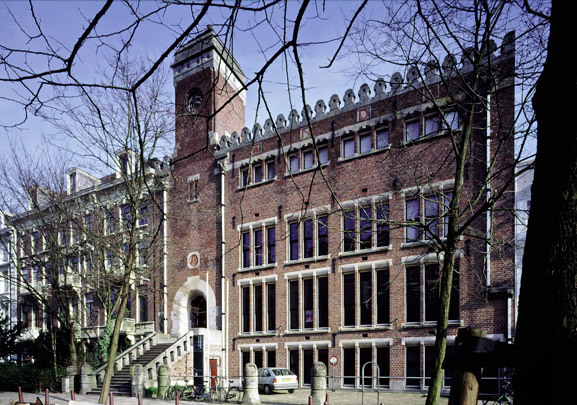 With its subdued facade and entrance, this building for the Union of Diamond Workers (one of the first Dutch trade unions) symbolizes the power of the workers' movement. The well-proportioned front includes windows grouped in threes of equal size and constant width though of variable height. The staircase is bright and cheerful through the use of yellow brick and a rooflight. This stair, along with once boarded-up mural paintings by R.N. Roland Holst, was largely restored to its former glory when the building was recycled as a Trade Union Museum.